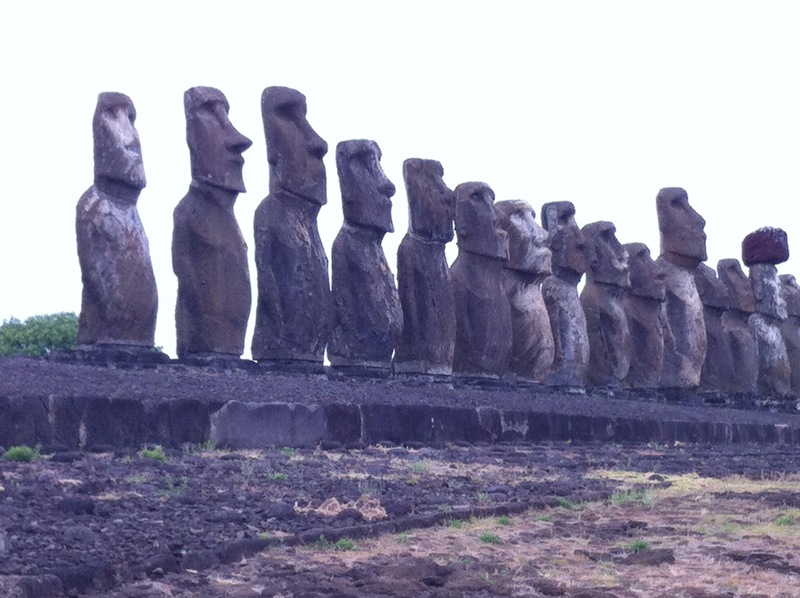 We are a few days behind on blogging as our internet access was limited on Easter Island. Rapa Nui, also called Easter Island, or Isla de Pascua, is the most remote inhabited place on earth. Five hours by air from Santiago, it is officially a part of the country of Chile. Settled by Polynesians about 1500 years ago, the island was mostly abandoned by the 18 th century. 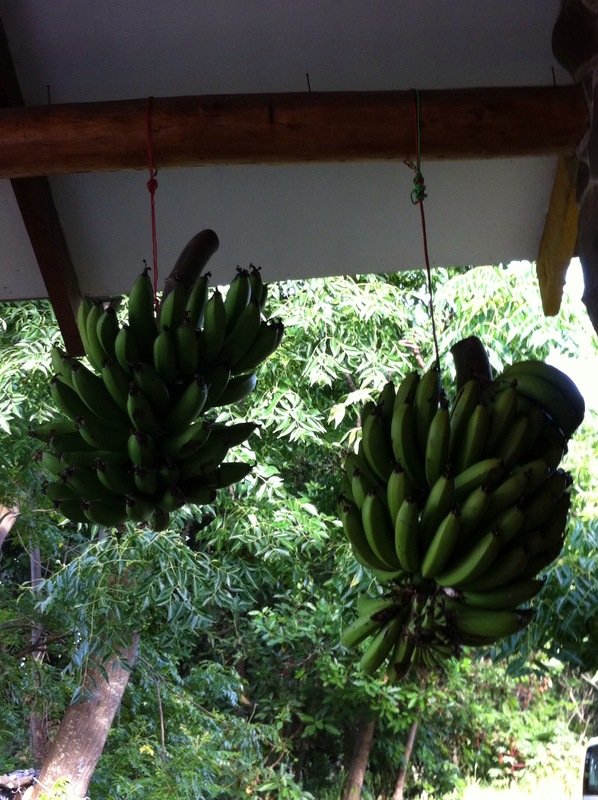 Now, home to a few thousand residents, and a lot of tourists, the 11 mile long, island has one town, Hanga Roa, where we landed at the airport about 10 PM, midnight for our body clocks, still on Santiago time. Our hotel picked us up at the airport and drove us the 5 minutes to the hotel. Boy couldn’t keep his eyes open another minute, and was asleep before we arrived. We joined a group tour for a couple days which took us to the major archeological sites of the island. We started with the 18th century stone houses and petroglyphs of the bird man cult at the site of Orongo. These images were incorporated into the 19th century Catholic Church in town, leading to some very odd looking angels. The volcano crater at Rano Kau was another highlight of the first day. 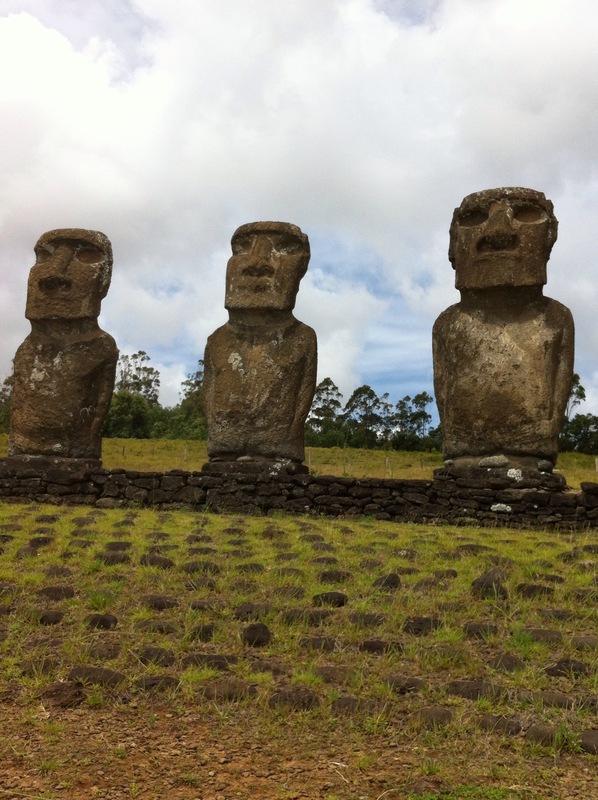 The next day, we focused on the Moai (big heads), viewing the quarry where the red hats were obtained and the larger quarry that was the source of the stone heads, themselves. The quarry at Rano Raraku still holds hundreds of large Moai, in various stages of carving, some still embedded in the rock. After viewing the source, we saw the reconstructed platforms at Ahu Tongariki where the standing Moai overlook the island. While circling the island, we also saw dozens of fallen Moai, left where they fell during the islanders civil war in the 17-1800s. Disappointingly, the local museum was closed until further notice due to legal problems, so we missed the only Moai with original, intact eyes, but we saw plenty of reconstructions to give us an idea. After our archeological studies, we enjoyed a few days at Anakena beach, before returning to the mainland. 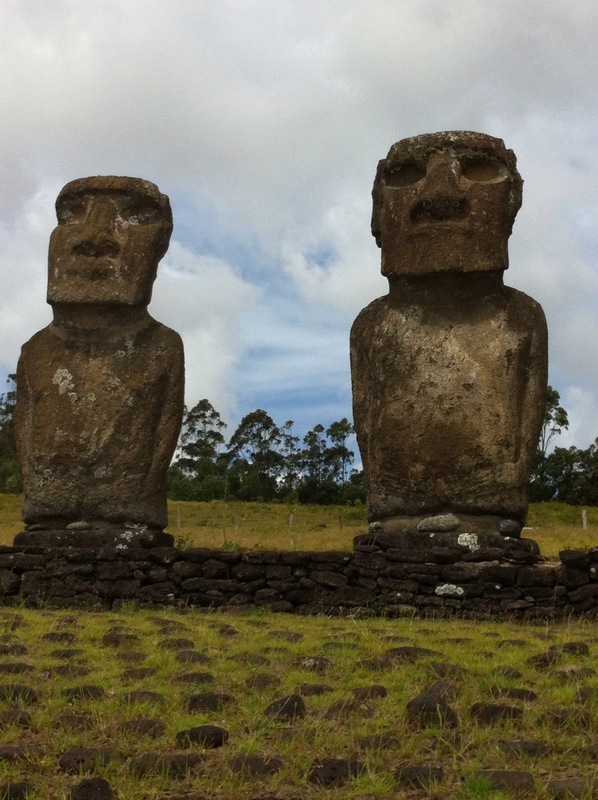 Our school work this week has included several videos from Nova and National Geographic on the topic of the Moai (big heads) of Easter Island. 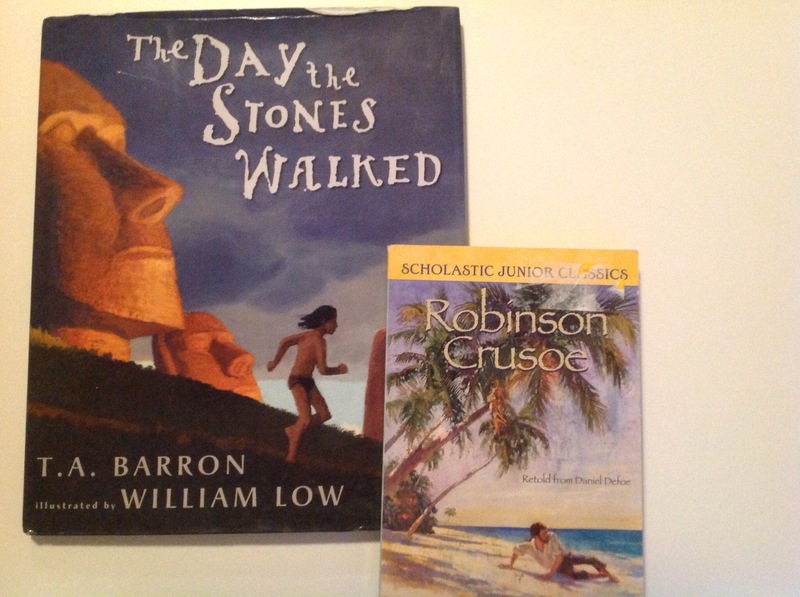 We also enjoyed the picture book “The Day The Stones Walked.” We have been without Internet access, so our online Spanish lessons and spelling games are on hold until we return to Santiago. Instead, we have done lots of old fashioned reading and writing on paper.